Do you hate having lines or little black dots on your copies? Many office staff have come across copier issues that have slowed down their workload. Fortunately, the solution is usually fairly simple; requiring some cleaning materials and a bit of elbow grease. First, check that the lines aren’t from the original document. If there seems to be no problems with the original, it may be due to dust. Small amounts of dust are known to cause lines, streaks, or smudges on your copies or document scans. Next, print a test page that is blank. If there’s still a smudge, you may have an issue with the print assembly on the copier. If these simple checks are not the culprit, you will need to clean the glass of your machine. DO NOT clean the glass surface with anything abrasive, acetone, benzene, ammonia, ethyl alcohol, or carbon tetrachloride. Also, don’t place liquid directly on the glass. This may cause it to seep through any cracks or get into the interior of the machine. For a safe way to clean the glass, use a soft cloth moistened with water, nonabrasive glass cleaner, or lens cleaner. When finished, dry the glass with a soft, dry cloth to prevent spotting. Lines on the copies may also be caused by the toner. To fix this issue, open the front panel of the copier and remove the toner cartridge. Wipe the cartridge clean with a dry cloth and use a vacuum to remove any loose toner from the area where the cartridge is installed. Using a can of compressed air, blow loose toner and other debris free from the inside of the copier. Doing this will help you clean hard to reach areas of the copier, such as the paper feed. Replace the toner cartridge and make another blank copy. If the streaks are still there, they are likely the result of toner, debris or scratches on the copier drum. To keep your copier working efficiently, you should perform regular cleaning of your machine. Basic cleaning and maintenance of the machine should be done every two or three months. 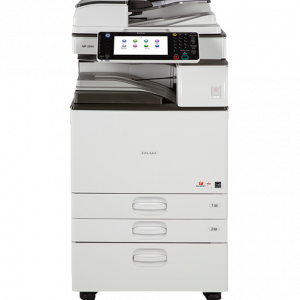 It is also smart to call us to have professional maintenance performed once a year to prevent hardware problems and extend the copier’s life. 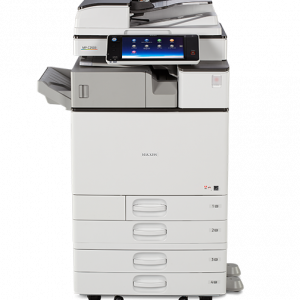 For more information on copier maintenance or copier sales on Long Island, contact us today!